With deck of cards, Diamonds = 25m CSS, Hearts=25m freestyle, Spades=25 pushups, Clubs=4 count flutters. Notes: Should be tough, tough is good. Put half of deck on one side of pool and other half on other. Stay focused and the cards tend to get a mind of their own! 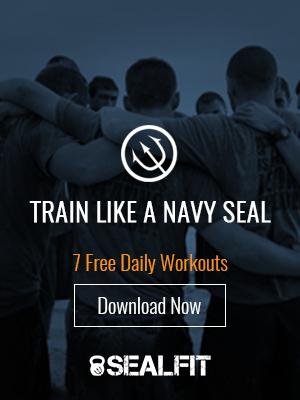 Saturday do SEALFIT Operator WOD or Long Grinder PT. Sunday is a rest day – enjoy!